We’re calling it now… Stable Coffee & Kitchen is one of the most aesthetically stunning cafes we’ve seen open its doors on the Coast, ever. If you’re a frequent commuter on the Gold Coast Highway between Currumbin and Tugun, you’ve likely been admiring this red brick development as it took shape over the past 12 months. Architecturally designed, Cornerstone Stores opens this weekend bursting with luxe boutiques, a fromagerie, yoga and Pilates studio, holistic hairdresser, beautician and, the heart of the boutique retail precinct, is Stable Coffee & Kitchen. We’re crushing on Stable’s blush pink stone-top island table—which will no doubt become the bucket-list Instagram backdrop for many breakfast dates—retractable floor to ceiling windows, courtyard seating, oak wood accents, artwork by local Claudio Kirac, and a unique cement breakfast bar which adjoins the barista station and is lined with custom built stools by designer Martin Johnston. With ex-Gwinganna health retreat executive chef Stacey Tarleton heading up the kitchen, almost everything is made in house from the jams to sauces and creams, and the real food menu is simply brilliant. 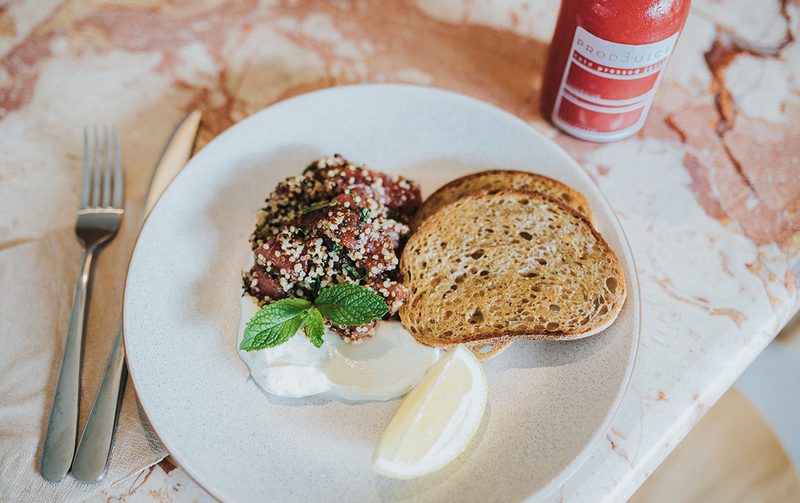 We tucked into the Overnight Oats with rhubarb and burnt orange yoghurt, the Raw Tuna plate with quinoa and salted labne, plus the Potato Hash with poached eggs and miso cashew cream. If these are not some of the best breakfasts to grace the Gold Coast, we will humbly eat our words. While we often walk straight past the glass display cabinet salad options, at Stable, they’re the star of the show. Made fresh daily are five different salads, piled high and loaded with nothing by fresh, seasonal goodness. You’ll also find coffee brewed with beans by Melbourne specialty roaster Seven Seeds, Balter beer on tap (yes, they’re licensed! 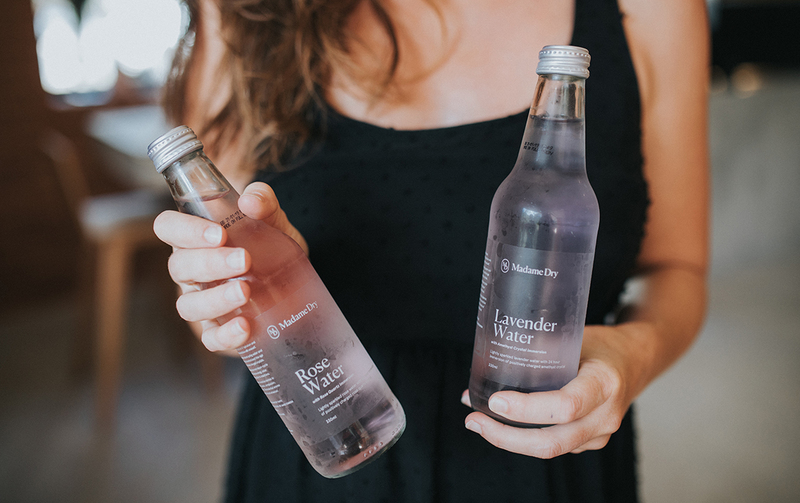 ), signature drinks like a Japanese-inspired Bloody Mary (with a twist of wasabi and pickled ginger), kombucha by Probiotic Kitchen and lightly sparkling lavender and rose water by Madame Dry (more Insta-worthy fodder). Basically, we’re ready to move in and never leave. Grab your favourite brunching pals and wander the boutiques, before settling in for a deliciously beautiful morning at Stable Coffee & Kitchen. We bet you’ll be mighty impressed with the new neighbourhood gem that is Cornerstone Stores. Read more about the stellar Cornerstone Stores precinct here.